My husband and I decided to go on a low-carb diet so here’s a twist on tacos that is also delicious. Heat one tbsp of butter, add the beef, salt and pepper and cook on a medium/low flame until it is all brown. Add the taco seasoning and 1/4 cup of water and cook until the water dries out. Add a tbsp of Velveeta cheese and stir until it is all melted. Cut the Green pepper in half vertically and remove the guts. Grease an oven sheet with some olive oil, place the green peppers in it and fill them with beef. Bake at 400F/200C until the green pepper is done (about 20 minutes). 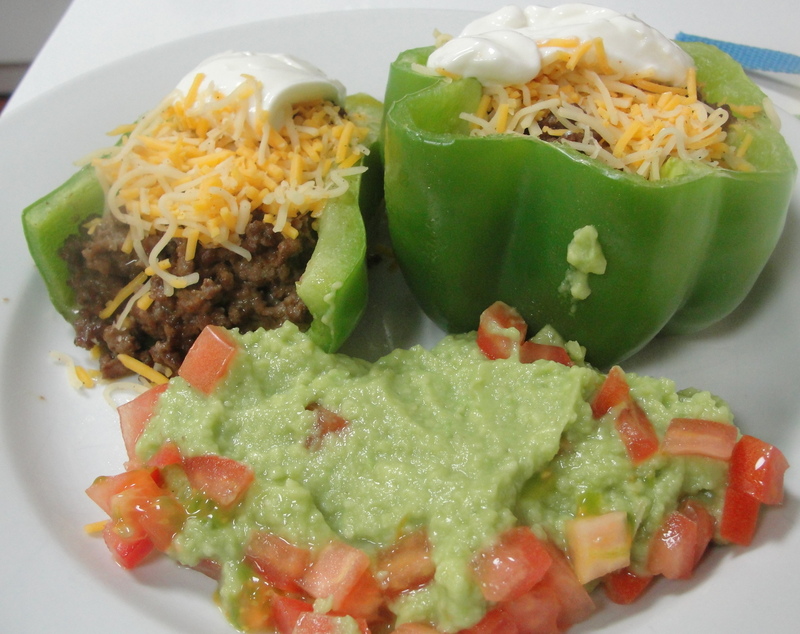 Add some sour cream and Mexican cheese on top and serve with guacamole dip and salsa if desired. 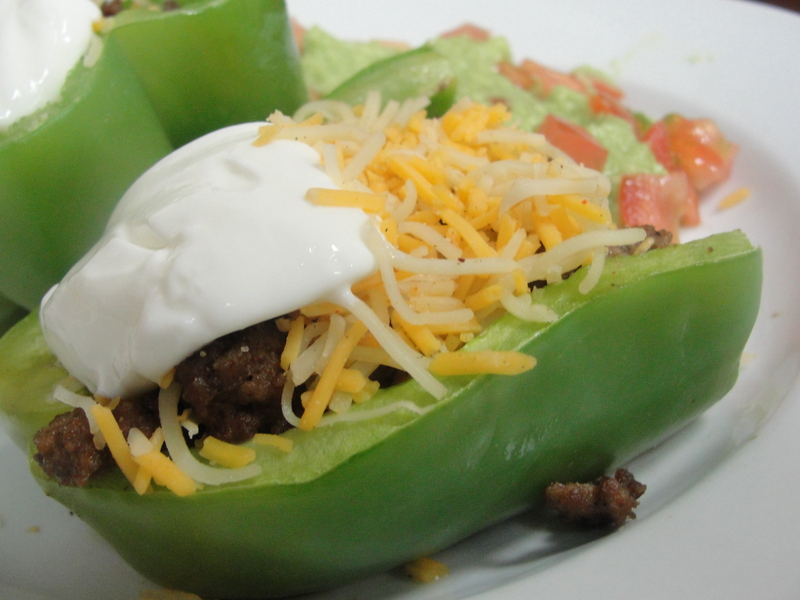 This entry was posted in Meat, Vegetables and tagged Gluten Free, Low Carb, Meat, Mexican, Vegetables. Bookmark the permalink. Will try this. It sounds really yummy!